I have been trying to decide what to write about these potatoes since Christmas. 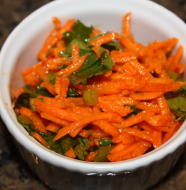 We served these as one of the sides to our Christmas day meal and I really enjoyed them. The recipe calls for making your mashed potatoes and then combining them with the seasoned and wilted kale. The potatoes are loaded with flavor and even before adding the kale to the mix I thought the potatoes were awesome. 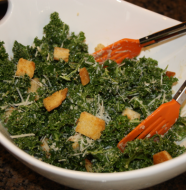 I had never cooked kale before so I wasn’t sure what to expect. The kale was quite good in my opinion. I could see myself cooking the kale and serving it as a side even without mixing it in to the potatoes. The good news is that while the two parts were excellent by themselves they were even better once combined. I loved the complexity once I combined them together. YUM! I didn’t feel quite as guilty about the indulgent potatoes because it had kale in it though I am not saying that this will qualify as healthy in any way. Delicious? Yes. Healthy? Not so much. Will I be serving it again? Of course! 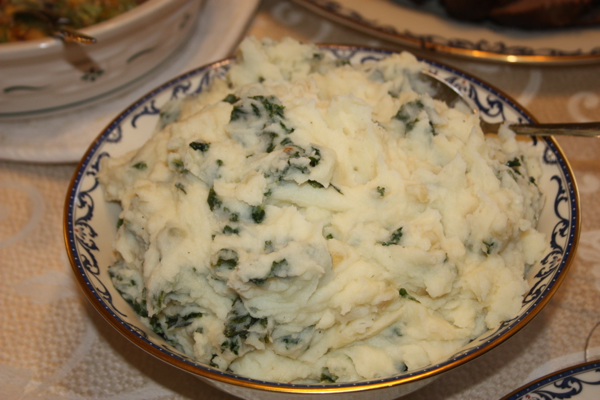 For a special Christmas meal, I think it was a nice way to mix up your everyday mashed potatoes and I really liked the texture that the kale added. So if you are going to be eating potatoes anyway why not add some kale to the mix and then you are at least increasing your vegetables. Right? For the potatoes: Combine the potatoes, garlic, salt and butter in a large saucepan. Add enough water to cover the potatoes. Bring to a boil over medium-high heat. 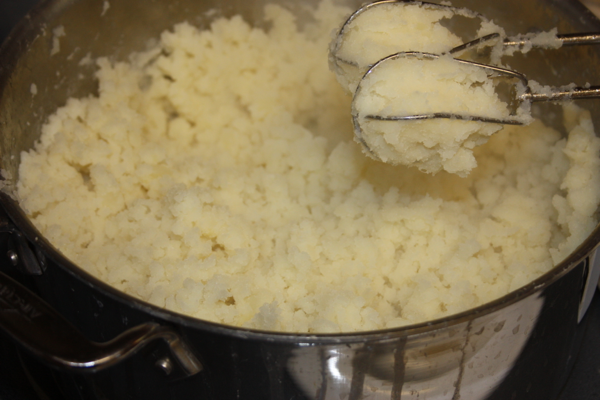 Once the water has begun to boil reduce the heat to a simmer and cook until the potatoes are tender, 15 to 20 minutes. 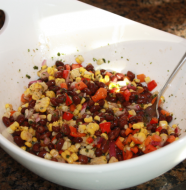 Drain in a colander and remove the garlic cloves. Return the potatoes to the pan and mash until smooth. 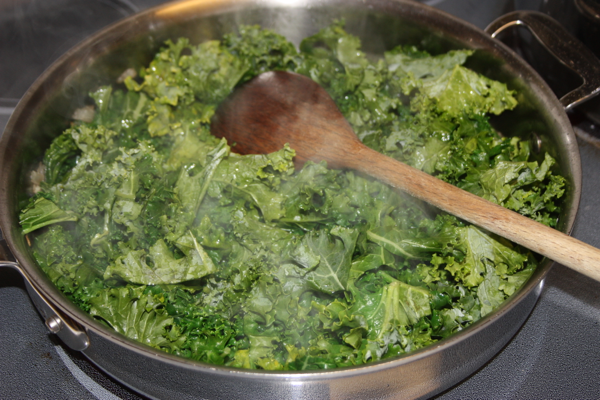 For the kale: Heat the oil in a large skillet over medium-high heat. Add the onion, salt and pepper. Cook for about 6 minutes or until the onions are translucent. Add the garlic and cook until aromatic, about 30 seconds. Add the kale and chicken broth. Cook, stirring occasionally, until wilted, 10 to 12 minutes. Cooking the kale to add to the potatoes.